They say you never see a motorcycle parked in front of a therapist's office. That may not be entirely true, but certainly a little two-wheeled therapy never hurt. And now America's largest motorcycle company has delivered a number of its top of the line 2015 models to veterans suffering from post-traumatic stress disorder. 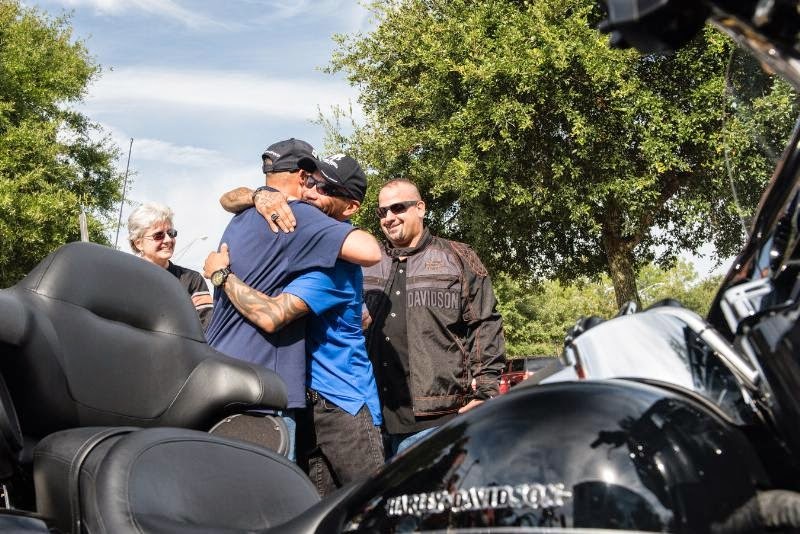 Harley-Davidson teamed up this week with the Wounded Warrior Project to present six U.S. veterans suffering from PTSD with motorcycles aimed at helping the men and women through recovery. The six veterans were hand-selected to receive the motorcycles because, although they are experienced riders, they no longer have access to bikes due to various hardships. The veterans all are affiliated with Wounded Warrior Project. "It is important to have the support of corporations like Harley-Davidson, which understand the long-term needs of our nation's veterans and are willing to work with us to help warriors uncover and live with their 'new normal,'" said John Roberts, executive vice-president of Warrior Relations at Wounded Warrior Project. "We know from our warriors that recreational activities like motorcycle riding provide a multitude of therapeutic benefits for those living with PTSD." One in three returning troops is diagnosed with PTSD symptoms and less than 40 percent seek help. Harley-Davidson says it is eager to continue its partnership with Wounded Warrior Project and extend the benefits of riding to even more American service-men and -women. "We're proud of the nearly 100 years of support Harley-Davidson has provided to the men and women who defend our country and our freedom," said Matt Levatich, president and chief operating officer at Harley-Davidson. "Our partnership with Wounded Warrior Project builds on that legacy by supporting these veterans in their quest for strength, freedom and independence." Levatich drew attention to the fact that Harley-Davidson has had strong ties with the military ever since it started providing bikes in World War I. Additionally, more than 10 percent of Harley-Davidson's workforce is comprised of veterans.